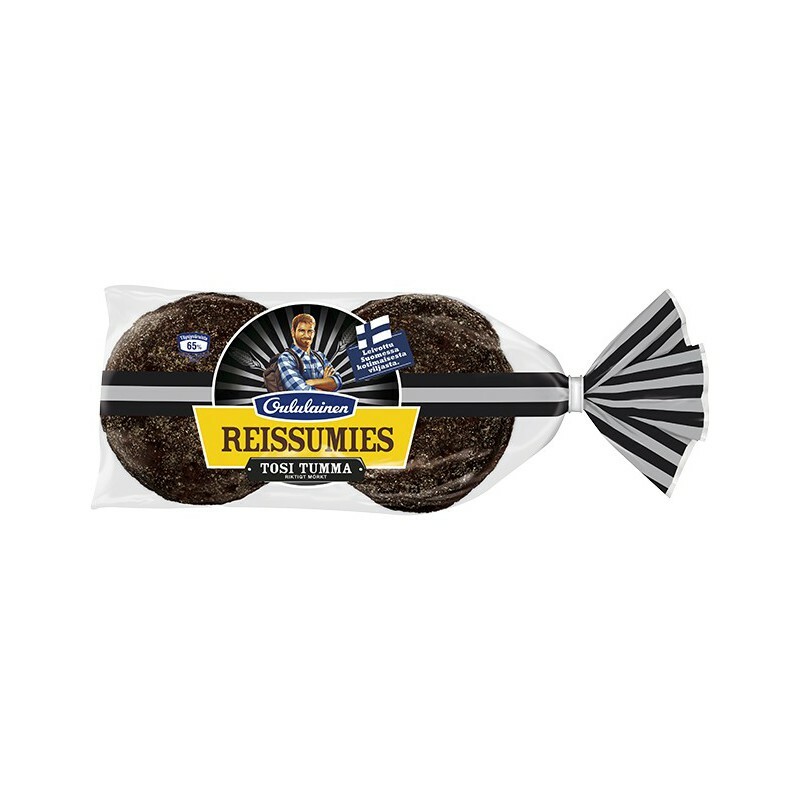 Oululainen Real Dark Reissumies whole rye FRESH bread 560g, 8 pcs. When you go out hiking, cross country skiing, what bread would you back as your food supply? Reissumies of course, or at least that's what most Finns do :) No wonder this is one the top selling breads at Suomikauppa. When you get the cravings for Reissumies, no other rye bread can quench that thirst! We deliver fresh bread only on Mondays to prevent them from being caught up in customs or post offices over the weekend. Please make your order with fresh bread before each Friday 12AM so it gets processed on the following Monday. Orders that come after this, will be sent a week later. We recommend choosing DHL Express or Posti EMS method for fresh bread orders, to ensure that the delivery time is not too long. We don't recommend ordering fresh bread if the delivery time to your country would take more than five days. We deliver the breads as fresh as we get them, mainly on the day they were baked! The BEST BEFORE date of our breads is three days away after baking. Bread is still perfectly safe to eat even after the best before date has passed, but people have different opinions about this, so think carefully before ordering fresh bread! Whole grain rye flour, and wheat (27%), water, wheat flour, sugar syrup, wheat protein, rye, poppy seed, barley and rye malt, salt, yeast, and smoke flavoring. Baking grains used in 65% of whole-grain rye.